What: A festival that celebrates a classic and favorite childhood dish. The festival will feature variations of Mac & Cheese prepared by local Coeur d’Alene Chefs who will be competing for the Golden Noodle Award! More Details: Enjoy a day tasting cheesy dishes with delightful craft beer pairings. Then vote for you favorite dish to help award the People’s Choice Trophy! What a great way to pass the time in January! 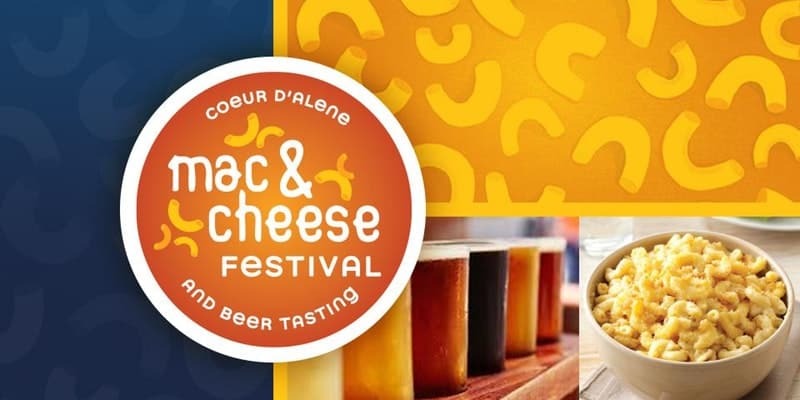 The Festival will be held at the Coeur d’Alene Resort and you can pick between their $15 option, their $25 option or their room package that starts at $189 for Saturday night along with the Beer and Mac & Cheese tastings. Check out the details and order tickets here.